What a wonderful breakfast from leftovers! 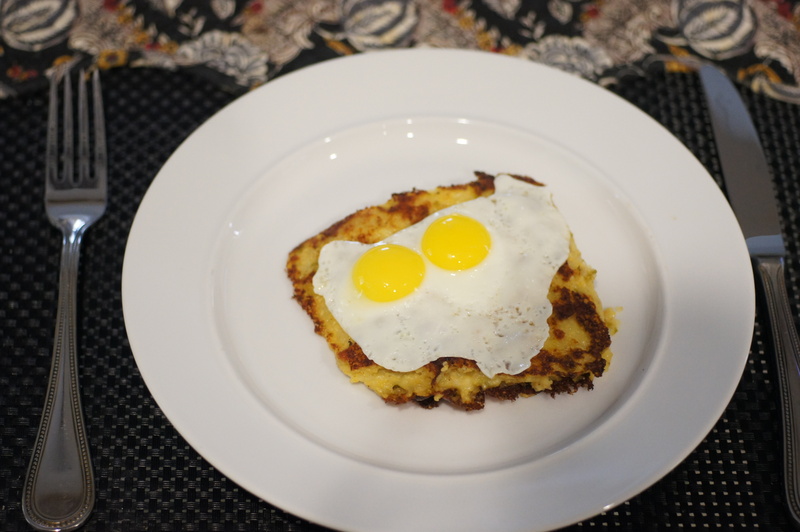 As Baby Lady says: “sometimes dinner is just so good you have to have it for breakfast the next day.” This was one of those breakfasts and it was good. This is going to be a quick post because there really isn’t a lot to it. The recipe for the grits is in Cheese Stuffed Bacon Wrapped Shrimp and Hatch Green Chile Cheese Grits. It produces roughly 2 quarts so there will be leftovers. 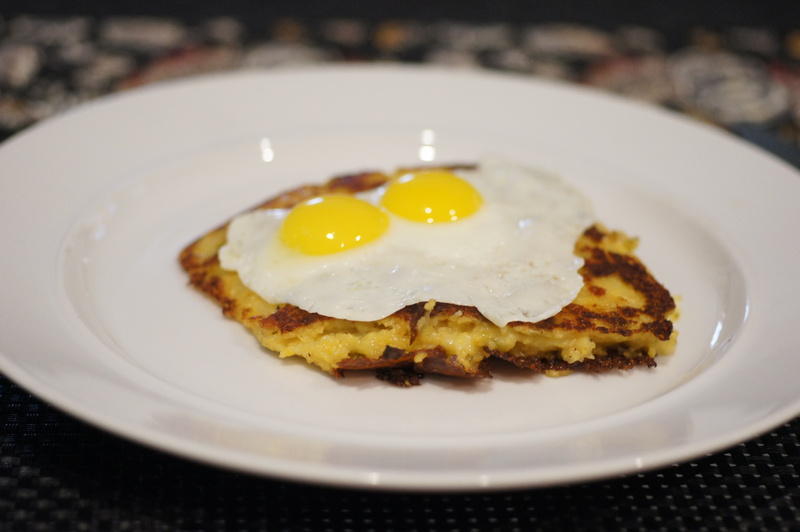 So, the question becomes what to do with leftover grits. it’s relatively simple. First, pour the grits into a baking dish the size of which will vary depending upon how much grits is remaining but nothing more than a 12 x 9 baking dish. Smooth the top and spread grits around baking dish to cover bottom completely and attain roughy the same thickness throughout. Cover with plastic wrap and place in the refrigerator overnight. 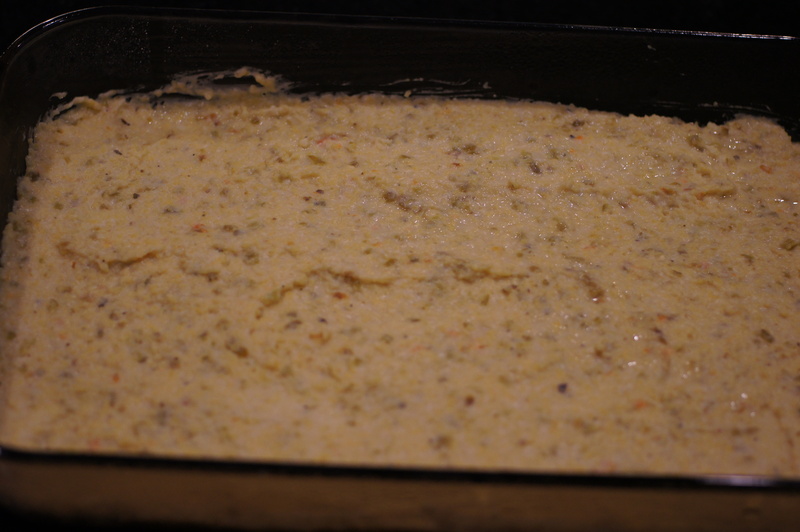 The next morning remove baking dish from refrigerator and cut the grits into squares. Get a nonstick frying pan and 1 Tbsp butter and heat over medium-high heat. 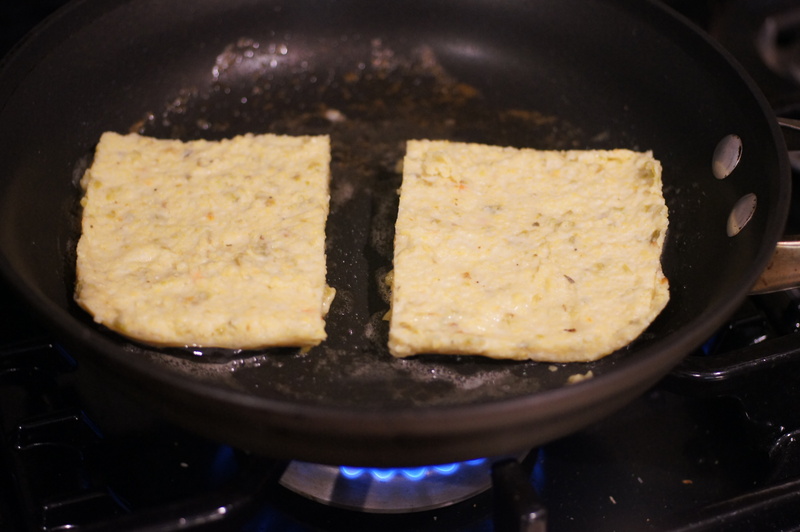 Place squares into frying pan and cook until the squares turn brown and a crust forms on the bottom, roughly 4 minutes. Turn the squares and cook another 4 minutes on the other side to form a crust on that side. When done, place square on a serving plate. 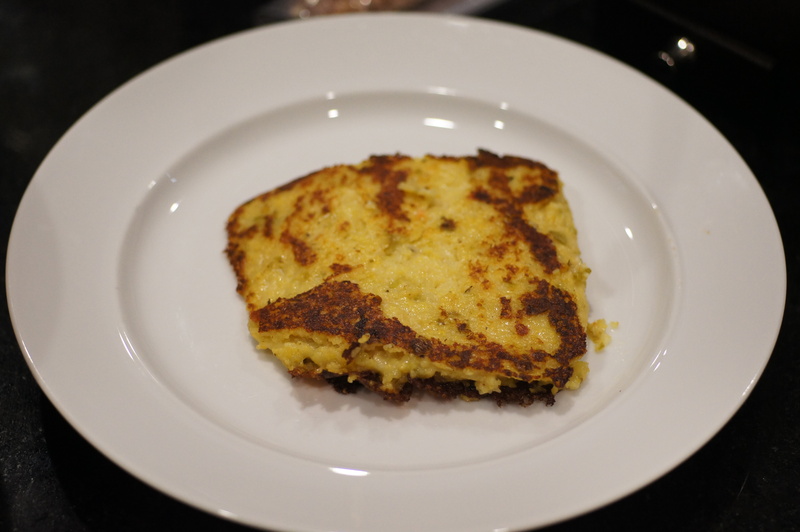 I know all too well how good fried or baked left-over polenta is. Yours with the Hatch chilis must have tasted great with eggs on top. They might even make a breakfast eater out of me. What a nice way to start a day. I love fried grits and polenta. The only problem is that they tend to splatter. But when you think about how good the end result is, what are a few splatters on the stove. Nothing a a quick cleaning can’t take care of. Thanks, Karen. I agree about the splatter but almost everything I cook tends to splatter and I’m always cleaning the stove. Just like a lady…concerned about the stove. If that is a concern, make grits bread, toast it and serve the eggs over it. I agree. Eggs are wonderful.